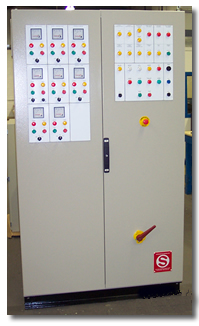 Our control panels and switchboards are designed and manufactured at our Kilsyth premises to suit the specific requirements of a diverse range of industries from telecommunications to agriculture. In addition, as engineering professionals we are able to provide a number of high quality engineering services. For more details of our control panel accessories and hazardous area appliances please visit the online shop.